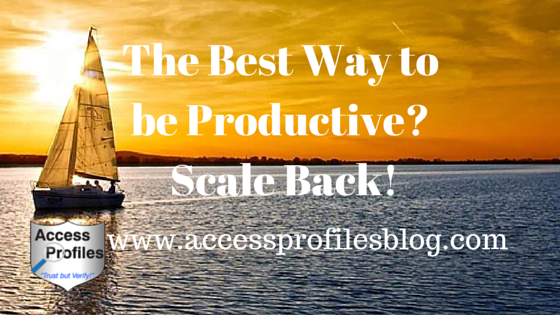 Access Profiles, Inc.: Productivity – Sometimes the Best Way to Achieve it is to “Scale Back”! True, true and TRUE!!! See, I just can't relax. 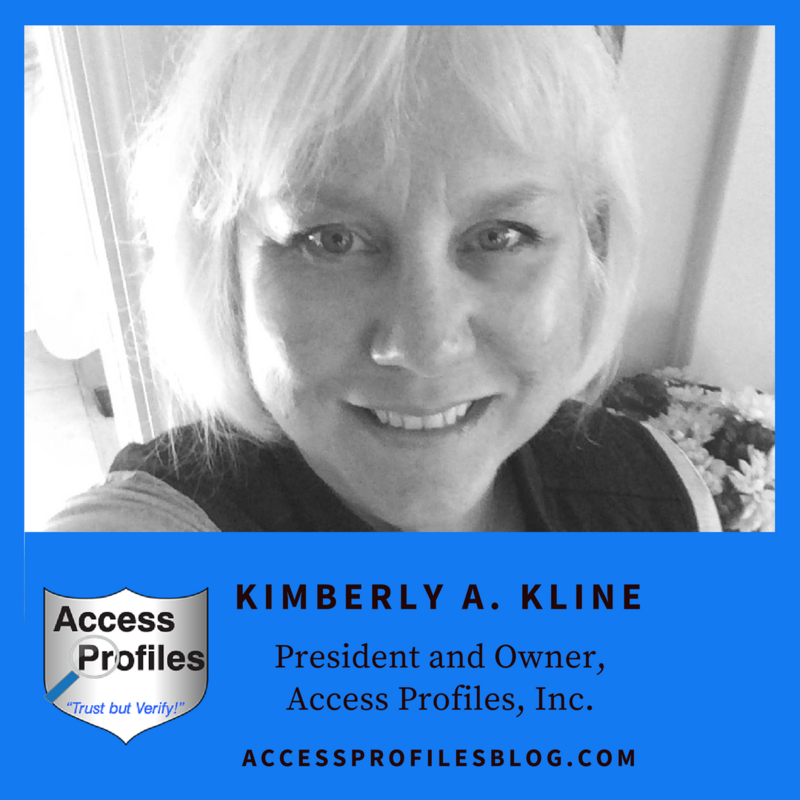 Great article Kimberly, as usual...thanks! 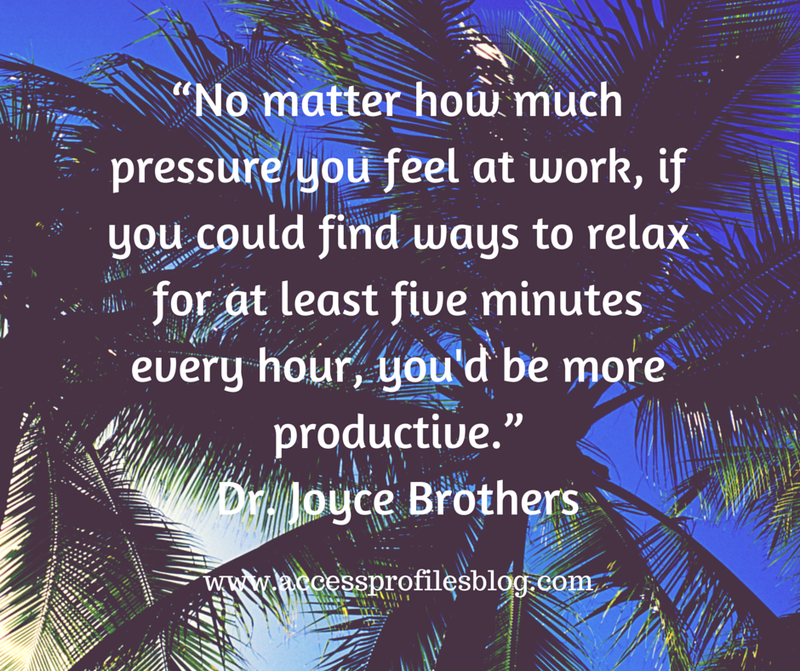 You might just not be able to relax with the "traditional" methods. You should look for something that works for you. We all need that time to recharge. I would think, in one way, your jewelry making may fit in here. I know there can be stress to fill orders, but pursuing something creative is a great way to use a different part of your brain. I also think it can be a source of great personal satisfaction. I find that with my writing, and when I read a book purely for pleasure (not research!). Thanks for taking the time to read my article. It is always appreciated!